On November 23, the Florida Supreme Court overturned the death sentence imposed by a judge on Richard Franklin after his jury split 9-3 in recommending he receive the death penalty for a 2012 murder. "In light of the non-unanimous jury recommendation to impose a death sentence," the court found that the death sentence violated Franklin's right to have a unanimous jury determination of all facts necessary to impose a death penalty and that the violation could not be excused as harmless. 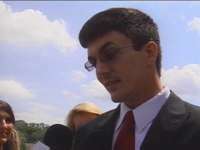 The court ordered that Franklin be given a new sentencing hearing. Although the court did not rule on any case other than Franklin's, the decision suggests that the court will order new sentencing hearings in at least several dozen cases involving prisoners whose non-unanimous death sentence were still pending on direct appeal at the time of the U.S. Supreme Court's ruling in Hurst v. Florida in January 2016. In Hurst, the U.S. Supreme Court struck down Florida's death sentencing scheme because key sentencing facts were determined by a judge, rather than a jury. In October, the Florida Supreme Court interpreted that decision as requiring that the jury unanimously recommend the death penalty before the trial judge could impose capital punishment. The Florida Supreme Court's description of Franklin's claim as a "Ring-Hurst claim" further suggests that the court may order new sentencing hearings for approximately 170 death row prisoners whose sentences became final since Ring v. Arizona, a 2002 U.S. Supreme Court decision requiring that a jury, rather than a judge, determine the existence of aggravating facts making a defendant eligible for the death penalty. The court has yet to rule on whether it will apply the constitutional protections recognized in Hurst to all death row prisoners, irrespective of their sentencing date, which could require resentencing of up to 290 people. Earlier, the court upheld judge-imposed death sentences when the defendant waived his right to a jury or the sentence followed a unanimous jury recommendation for death. According to retired Florida Supreme Court Chief Justice Harry Lee Anstead, "Tragically, in the 13 years since Ring, some 47 persons have been executed in Florida under an unconstitutional statute. Had the U.S. Supreme Court accepted review of a Florida case soon after Ring, those executions may arguably not have occurred – at least not until further review for harmless error, waiver or some other possible argument by the state was first evaluated." Change may be in the offing in Hillsborough County, Florida after voters ousted incumbent State Attorney Mark Ober on November 8 and replaced him with a reform candidate, Andrew Warren (pictured). Hillsborough ranks among the 2% of U.S. counties that are responsible for a majority of the prisoners currently on death rows across the country. The five death sentences imposed in Hillsborough from 2010 to 2015 under Ober's tenure placed the county among the 16 counties that had imposed the highest number of death sentences in the U.S.—more than 99.5% of other counties. Hillsborough's aggressive use of the death penalty has been plagued by error—three prisoners sentenced to death in Hillsborough have later been exonerated—and reflects a legacy of racial bias and exclusion. Tampa, the largest city in Hillsborough County, was among the four cities with the nation's largest Ku Klux Klan populations after the Great Depression. The Hillsborough County Bar Association did not update their charter to allow Black lawyers to join until 1972. The legacy of discrimination is evident in the recent death sentences imposed in the county: two-thirds have been imposed on Black defendants; and although a significant majority of murder victims in the county are Black, 60% of the victims in the cases in which death sentences were returned were White. Incoming state attorney Warren has vowed to address both the overzealous pursuit of the death penalty in the county and the problem of wrongful convictions. After Hillsborough was included in the Fair Punishment Project's report on outlier counties, Warren said, "That we are an extreme outlier in such a critical area is disturbing.... Our use of the death penalty needs to be fair, consistent, and rare. Unfortunately, for many years, it hasn’t been." Warren has also proposed the creation of a Conviction Integrity Unit to identify and redress wrongful convictions. Prosecutors in three counties known for their outlier practices on the death penalty were defeated by challengers running on reform platforms, while voters in Oregon and Washington re-elected governors who acted to halt executions. In Hillsborough County, Florida, Democrat Andrew Warren defeated Republican incumbent Mark Ober (pictured, l.). Warren pledged to seek the death penalty less often and establish a unit to uncover wrongful convictions. In Harris County, Texas, incumbent Devon Anderson (pictured, r.) was defeated by Democratic challenger Kim Ogg. Ogg ran on a platform of broad criminal justice reform and had received support from the Black Lives Matter movement. Harris County leads the nation in executions and is second only to Los Angeles in the number of people on its death row. Ogg had said that the death penalty had created "a terrible image for our city and our county" and pledged that, "[u]nder an Ogg admninistration, you will see very few death penalty prosecutions." Brandon Falls, District Attorney of Jefferson County, Alabama, lost his seat to Charles Todd Henderson, who does not support the death penalty and said he plans to “bring about real criminal justice reform.” Hillsborough, Harris, and Jefferson all rank among the 2% of U.S. counties responsible for a majority of death row inmates in the U.S., and were among the 16 most prolific death sentencing counties in the U.S. between 2010-2015. “People are scrutinizing their local criminal justice systems, and people are realizing how much power state attorneys have, and they are seeing elections as a way to change those results,” Deborrah Brodsky, director of the Project on Accountable Justice at Florida State University, said. In gubernatorial elections, voters re-elected governors who had halted executions in their states. Washington voters re-elected Governor Jay Inslee, who imposed a death penalty moratorium, and Oregon voters gave a full term to Governor Kate Brown, who had extended her predecessor's moratorium and pledged to keep the moratorium in effect if elected. In North Carolina, voters defeated incumbent Governor Pat McCrory, who had supported efforts to repeal the state's Racial Justice Act. Pinellas County, Florida ranks among the 2% of counties responsible for more than half of all prisoners on death rows across the United States and among the 2% of counties responsible for more than half of all executions conducted in this country since 1977. The five death sentences imposed in Pinellas between 2010 and 2015 also place it, along with three other Florida counties, among the 16 U.S. counties with the highest number of new death sentences in the country. One major reason for Pinellas' status is the high number of death sentences it has imposed after juries returned non-unanimous sentencing recommendations, an outlier practice that the Florida Supreme Court recently declared unconstitutional. All six of the Pinellas death sentences the Florida Supreme Court reviewed on direct appeal from 2006-2015 involved non-unanimous juries. Only two of those cases garnered the 10 juror votes in favor of death that would have permitted a death verdict to be imposed under 2016 amendments to Florida law that attempted to address another constitutional flaw in the statute. The non-unanimity provisions facilitated the extremely harsh use of the death penalty by Pinellas' prosecutors against defendants with significant mental health problems. Five of these 6 death sentences were directed at defendants with serious mental illness, brain damage, or intellectual impairment; and one was directed as an emotionally disturbed defendant who -- at only few months past 18 years old at the time of the offense -- was barely constitutionally eligible for the death penalty. According to a report by Harvard University's Fair Punishment Project, none of the other 15 outlier counties who have produced the most death sentences in the U.S. since 2010 imposed it so disproportionately against mentally impaired defendants. This prosecutorial overreaching occurred against a backdrop of racial bias and bad defense lawyering. In the cases mentioned above, every defense attorney presented a day or less of mitigating evidence at trial. The trial judge sentenced Richard Todd Robard to death after a 7-5 jury vote; a 6-6 vote would have spared his life. But Robard's lawyer, Richard Watts, decided not to present evidence of his client's brain damage and mental health problems because he didn't think the jury would be swayed by "brain abnormalities." Amid other evidence of racially imbalanced law enforcement practices in the county, 60% of the defendants sentenced to death since 2010 were black and 67% of the victims in cases in which the death penalty was returned were white. With newly discovered confessions and DNA evidence pointing to the prosecution’s chief witness as the actual killer, the Florida Supreme Court, on October 27, vacated the capital conviction of death-row prisoner Clemente Aguirre. Aguirre was convicted of killing his two neighbors--an elderly woman and her adult daughter--but he has always maintained his innocence and claimed that he discovered the women after they were deceased. After he was convicted, Aguirre's post-conviction attorneys discovered that the daughter and grand-daughter of the victims, Samantha Williams, had confessed to at least five different people that she killed her relatives, and DNA results show that her blood was at the crime scene. According to the Innocence Project, "[n]one of the DNA found on the 84 items that were tested matched Aguirre; most matched to the two victims, but two bloodstains were identified as coming from . . . Samantha Williams." In addition, "Samantha’s eight bloodstains had been collected from four different rooms—including in the bathroom where the state had argued at trial that the killer would have cleaned up—and each was found inches away from the victims’ blood." In its decision, the Florida Supreme Court said, "when compared to the evidence introduced at trial, the newly discovered evidence placing Samantha’s blood (rather than Aguirre’s) at critical locations of the crime scene coupled with Samantha’s numerous confessions to multiple individuals that she killed the victims 'weakens the case against [Aguirre] so as to give rise to a reasonable doubt as to his culpability,' entitling Aguirre to a new trial." Although Aguirre’s attorneys are urging prosecutors to drop the charges against him, a spokesperson for the Office of State Attorney Phil Archer said they intend to retry Aguirre. The trial judge imposed two death sentences upon Aguire after the jury had voted 7-5 and 9-3 in favor of death in the two murders. Twenty-six men and women have been exonerated from death row in Florida, the most in the nation. New data suggest that wrongful capital convictions may be more likely in cases in which juries do not reach unanimous recommendations for death. 18 of the 20 Florida exonerations for which researchers have been able to determine the jury vote have involved judges imposing the death penalty despite a jury recommendation for life or after a non-unanimous jury recommendation for death. The Florida Supreme Court has ruled that death-row prisoners who had unsuccessfully argued that they are ineligible for the death penalty because of intellectual disability must be provided a second chance to prove their claims. 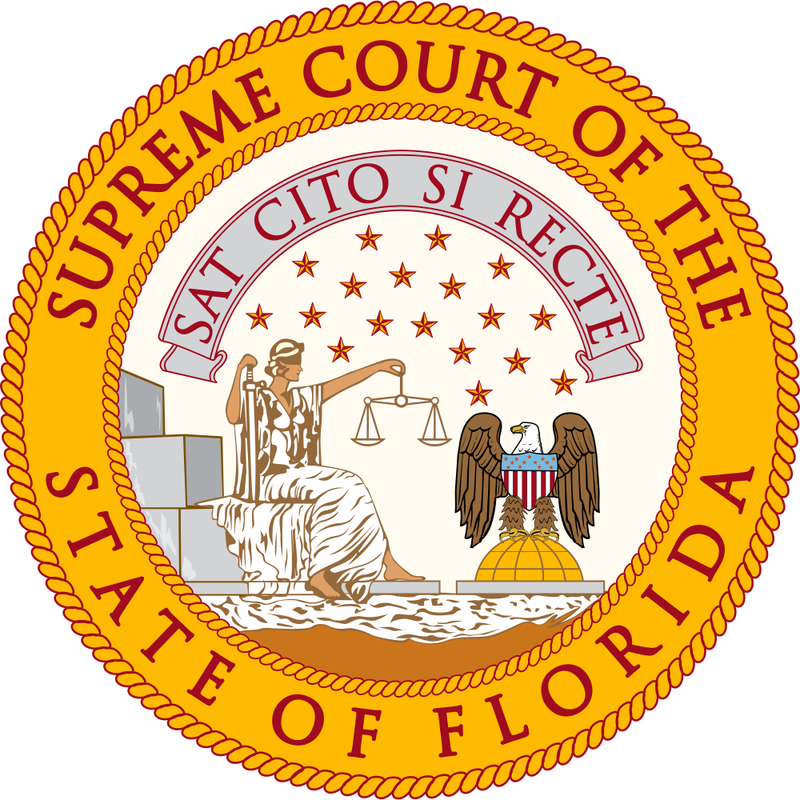 On October 20, the Court decided in Walls v. State that Florida must retroactively apply the U.S. Supreme Court’s 2014 decision in Hall v. Florida, which declared Florida’s procedures for determining intellectual disability to be unconstitutional. Prisoners whose intellectual disability claims had been denied under the standard rejected in Hall will now be given new opportunities to present their claims. In that case, the U.S. Supreme Court ruled that Florida’s outlier practice categorically barring a prisoner from presenting evidence supporting his intellectual disability claim if his IQ score was above 70 violated the Eighth Amendment’s prohibition against cruel and unusual punishment. Writing for the Court in Hall, Justice Kennedy explained this strict IQ cut-off requirement “disregards established medical practice” and “contravenes our Nation’s commitment to dignity and its duty to teach human decency as the mark of a civilized world.” The Hall Court held that “[i]ntellectual disability is a condition, not a number”; and therefore the determination of intellectual disability must not only consider a standard error of measure regarding IQ scores, but also consider adaptive functioning, which requires a “conjunctive and interrelated assessment.” The Florida Supreme Court recognized that “[t]he rejection of the strict IQ score cutoff increases the number of potential cases in which the State cannot impose the death penalty, while requiring a more holistic review means more defendants may be eligible for relief.” The decision could affect thirty prisoners on Florida’s death row. Like Florida, the Kentucky Supreme Court has also found Hall to apply retroactively. That court reaffirmed its retroactivy decision in White v. Kentucky, also decided on October 20. The Florida Supreme Court has declared unconstitutional the state’s practice of permitting judges to impose death sentences based upon a non-unanimous jury recommendation for death. In two rulings issued October 14 the court held that juries must unanimously find all facts necessary to impose a death sentence, including the existence of any aggravating factor relied upon as a reason to impose the death penalty, whether the aggravating factors in and of themselves provide sufficient grounds for imposing the death penalty, and whether the aggravating factors outweigh the mitigating circumstances (reasons for life) presented by the defense. In the first case, Timothy Lee Hurst v. State of Florida, the court vacated Hurst's death sentence imposed and remanded his case for a new sentencing hearing. The second decision, Larry Darnell Perry v. State of Florida, struck down the Florida legislature's March 2016 revision of the state’s capital sentencing statute because it does not require a unanimous jury recommendation of death before the trial judge can consider imposing a death sentence. Hurst is the same defendant whose appeal reached the U.S. Supreme Court earlier this year, resulting in an 8-1 decision declaring that the state's prior capital sentencing statute violated the 6th Amendment right to a jury trial by reserving for the judge, rather than the jury, the ultimate power to find the facts that could lead to a death sentence. The Court specifically held that the statute impermissibly denied Hurst a jury finding of aggravating circumstances that could make him eligible for the death penalty. In response to the Court's decision, the Florida legislature amended the statute to require juries to unanimously find at least one aggravating circumstance, but allowed the jury to recommend a death sentence if at least 10 of 12 jurors agreed. The court’s decision in Hurst made clear that the statute violated Florida state constitutional provisions requiring unanimous jury verdicts, as well as federal constitutional law. In Perry, the court struck down the amended death penalty law, saying the statute "cannot be applied constitutionally to pending prosecutions because the Act does not require unanimity in the jury’s final recommendation as to whether the defendant should be sentenced to death." While the decision in Hurst says that defendants sentenced to death under the unconstitutional sentencing procedures are not entitled to have their sentences automatically reduced to life in prison, it leaves unclear exactly what will happen in the cases of the approximately 400 people on the state's death row. New data suggests that states that capital sentencing statutes that permit judges to impose death sentences by overriding jury recommendations for life or after juries have returned non-unanimous recommendations for death may increase the risk of wrongful executions. In an article in the Yale Law Journal Forum, lawyers Patrick Mulvaney and Katherine Chamblee of the Southern Center for Human Rights report that in Alabama, the only state that still permits judges to override a jury's recommendation for life, override cases account for less than a quarter of death sentences but half of death row exonerations. They say that this may be a result of "residual doubt" among jurors, which they describe as “a state of mind that exists somewhere between ‘beyond a reasonable doubt’ and ‘absolute certainty,’” often resulting from weaker or more suspect evidence of guilt. Research has shown that when juror have such doubts, they are substantially more likely to vote for a life, as did jurors in the cases of Alabama death row exonerees Larry Randal Padgett (9-3 jury vote for life) and Daniel Wade Moore (pictured, left, 8-4 vote for life) and current death row prisoner Shonelle Jackson (unanimous jury life recommendation). Non-unanimous jury recommendations for death also appear to pose similar problems. Of Alabama's six death row exonerations, 83% involved either judicial override (3 cases) or non-unanimous jury votes for death (2 cases, including Anthony Ray Hinton, pictured, right). Data from Florida reveals a similar pattern: of the 20 death row exonerations for which information on the jury vote is available, 90% involved a non-unanimous recommendation for death, including three judicial overrides of jury recommendations for life. In 1984, U.S. Supreme Court Justice John Paul Stevens raised concerns about judicial override and wrongful convictions that are now supported by data: “It may well be that the jury was sufficiently convinced of petitioner’s guilt to convict him, but nevertheless also sufficiently troubled by the possibility that an irrevocable mistake might be made . . . that [it] concluded that a sentence of death could not be morally justified in this case.” Statutes permitting judicial override or non-unanimous jury recommendations for death have been under increased scrutiny since the U.S. Supreme Court's decision in Hurst v. Florida in January 2016. Hurst struck down Florida's sentencing statute saying, "The Sixth Amendment requires a jury, not a judge, to find each fact necessary to impose a sentence of death." Florida's legislature responded by ending judicial override and requiring juries to unanimously find aggravating circumstances in capital cases, though they may still make non-unanimous sentencing recommendations. The Delaware Supreme Court struck down its sentencing statute in light of Hurst in August 2016, leaving Florida and Alabama as the only states that still permit non-unanimous jury receommendations of death.